BISHNU August announcement of the gigantic spicy fair! BISHNU Super spicy menu 8, enjoy the summer! Super Hot fair will be held! Thoughts of each is the August menu with complimentary toiletries. 1. Spicy spicy tandoori chicken with alcohol! 2. Lassie appeared in eating! Limited time offer! Lassie eat menu of Vice ne! Fluffy Toro Poker appeared in ice! Moments into your mouth gently up and melted as snow! 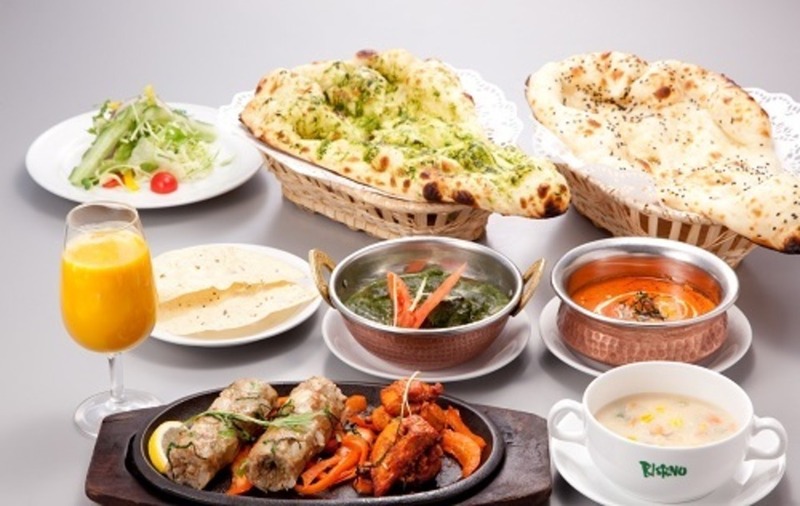 India spice food and drink deals set! Grilled tandoori dishes are dying out. Summer is extremely hot! We offer time limited edition Ludhiana set! Cary keymakery recommended! Boneless tandoori chicken otog is 2 P a drink! Curry is very hot outside, not from the sweet-can be hot! Butter Chicken Curry & spinach cheese Nan set! The popular cheese naan nutrition plenty! I tried with the spinach. Authentic Curry spicy eight or more to perfect! Spicy curry is not from sweet to choose spicy! And tandoori cuisine popular set with drinks deals! Spices-not spicy spices until engagement with lots of spices hot summer! Limited time offer! Perfect for summer! cool do milkshake! Viking shop is tosu! has become for many customers know taste of Vice ne all-you-can-eat service price. Spicy, but you can also make delicious and healthy! India spice-Mint, coriander, pepper, cumin and Pasty sauce, politicized boneless chicken roasted in charcoal spicy & juicy, HOT chicken! In easy-to-eat bite-size fits well with beer! Chicken cats carry rice set! Summer is extremely hot! We offer chicken katsu carrier set on for a limited time! Kerry Milch(Black pepper)And India spices yogurt marinated boneless chicken, baked char-grilled to juicy! Deals on beer or glass of wine and set a quick one! 1. Kerry Milch chicken 4-piece! Bring aroma and pungency to dishes in Garam Masala, black pepper(Kerry Milch)And India spices yogurt marinated boneless chicken, baked char-grilled to juicy! Spicy chicken awake! It is spicy! 2. Limited time offer! Namaste set! Nutrients such as lycopene, iron and vitamin rich! Come in the summer heat prevention! Hey cool drinks with breath. Beer and set for 1200 yen.(Excl. tax)The soft drinks and set for 1000 yen.(Excl. tax)It comes to. Main SONA restaurant is the all you can eat buffet! separately and set menus are also available. India spice flavor rich grew up in a vast land and sea! With delicious sea bounty and blessings of the Earth ride out this summer! 2. Summer! From 3 pm 18 limited menu! Children's set menu(Rice or NaN)Cheese naan and kokonutsnan to change OK for free! Summer only! Tomato Chicken Curry set! Perfect for the summer! Is a set with a lot of tomato tomato chicken curry! Curry is not spicy sweet to choose spicy! I finish the spicy potato Chilena in into the chili powder, enjoy the summer! Aeon Kagoshima kamoike store OPEN!